At Chasewater Railway we have a small collection of bricks from local brickyards. The railway existed to carry coal from the local pits to the canals or to main line sidings. A number of local pits had their own brickworks to manufacture bricks for use in lining pit shafts, etc., and bricks from these yards are those that we like to collect, as the coal, brick and rail industries are all connected together. 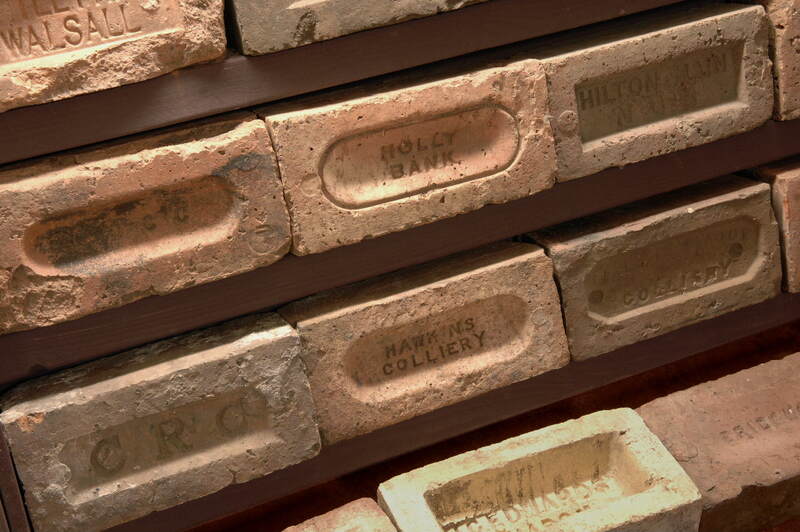 We do have bricks from further afield in the Midlands and beyond. The text in the captions includes the object number, name, description, manufacturer and location. The Cannock Chase Colliery Company made bricks with three patterns – 4 letter Cs which is shown, 3 letter Cs with Co. which is also shown, and 3 letter Cs, which unfortunately we don’t have – so if anyone has one we would be delighted to accept it!